[London 16.05.17] A huge World title fight is headed to Dublin at BAMMA 30 as the vacant Bantamweight title is set to be given a new owner, as Shay Walsh will battle to regain the title against another former title contender in the shape of Alan ‘The Apprentice’ Philpott. After two division champion Tom ‘Firekid’ DuQuesnoy vacated the titles earlier this year, the two names that everyone suggested should face each other for the title, were the last two men that DuQuesnoy defeated. Shay Walsh and Alan Philpott agreed and have been engaging in an online war of the words ever since. 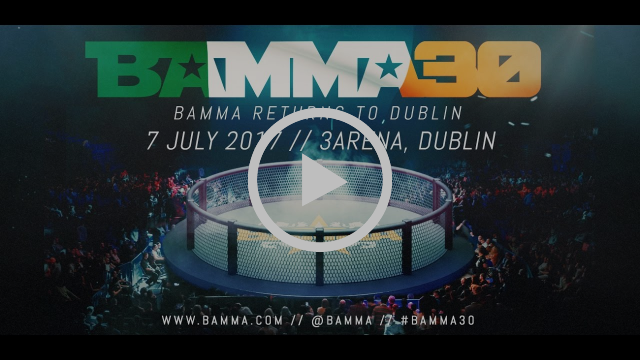 Now the time for talk is over as two of Europe’s leading Bantamweights are set to finally do battle in the 3 Arena at BAMMA 30. Can the former champion regain ‘his’ title or has Philpott’s time finally arrived?